Two tiny words, delivered in the faltering language of a toddler, but forceful enough to stop me in my tracks. The delightful praise entirely unexpected; after all, as her mother, I had just been doing my job. It was a potent and personal reminder to me of the power of recognition and how vital it is to making us feel valued. And this is especially true in the workplace where it is essential for engagement, for building motivation and for delivering satisfaction. When it comes to recognising our people, it needs to be consistent. It needs to not be just a ‘one off.’ It needs to be appropriate. It needs to be authentic. And it needs to be amplified; as humans, we notice the negative far more than the positive. There are two routes for recognition – formal and informal. The formal routes are the schemes which an organisation operates, such as an annual employee excellence award, or a team member of the month reward. These schemes have real value as they allow an organisation to publicly recognise achievement, and to identify and share ‘best practice’ which can set a standard for others. They contribute to continuous improvement and development, offering, as they do, a bar to aim for (and as such, clear ‘rules’ around the schemes must be communicated). They can also be aligned with an organisation’s strategic aims or values, a good way for a company to embed key principles within the culture. And they engage people in a positive and proactive way, allowing for company-wide celebration of successes. And then there is the informal. The thank you, the appreciation, the gratitude, above all, from management. Leaders have a crucial role in recognising what their employees are doing, when they’re going above and beyond, when they’re exemplifying an organisation’s values, or when they are simply doing their job. This is the personal recognition which needs to happen in the moment – it shouldn’t wait until the next meeting. It needs to have integrity; it shouldn’t be done just for the sake of it otherwise the manager and the recognition will lose credibility. The manager should be as clear as possible about the reason for the recognition as this underlines to the individual the behaviours which are desired (in the same way that negative feedback reveals actions which are not desired). It should be personal, owned by the manager – often the impact of a leader showing gratitude cannot be underestimated. 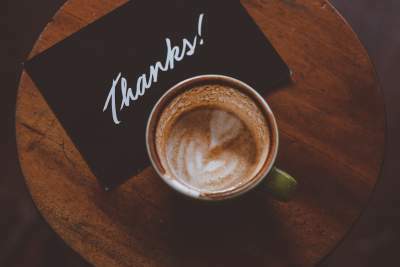 And it needs to be appropriate – it could be a personally signed card and a box of chocolates, or it could simply be the words: ‘thank you.’ Sometimes the biggest impact can come in the smallest ways. But however it is delivered, recognition should be an integral part of an organisation’s culture. Because a company which recognises and celebrates achievement will benefit from engagement, motivation and ultimately, satisfaction amongst its people. There is an addendum to this story. Buoyed by my daughter’s obvious gratitude, I happily got the ice-cream out as a treat for dessert, much to her glee. Which also goes to show that someone who is recognised, who feels appreciated, will deliver more.